Through this after school and summer program teens perform service-learning projects that are essential tools for empowering them to become agents of positive change in their community. 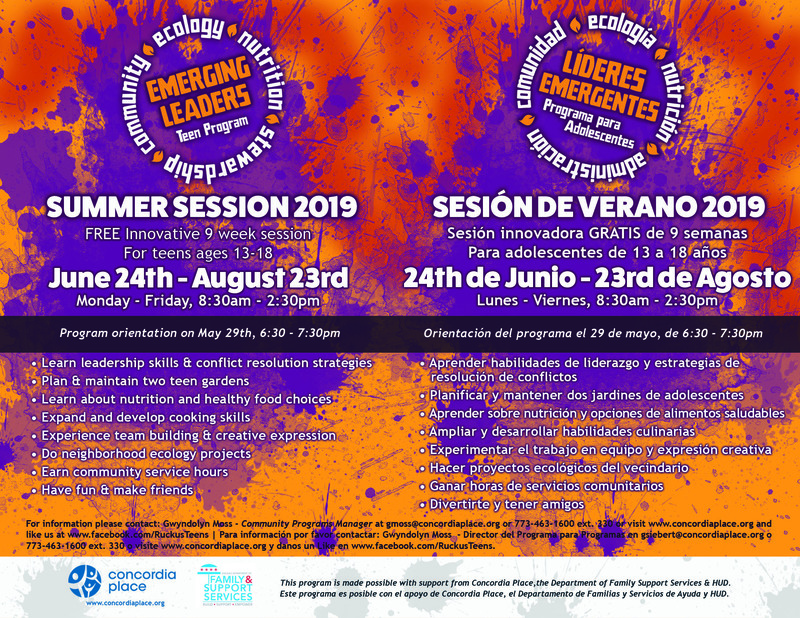 Teens build leadership, collaboration and conflict resolution skills through participation in ecological, nutritional, culinary, artistic and civic-minded activities. -Have fun and make friends! 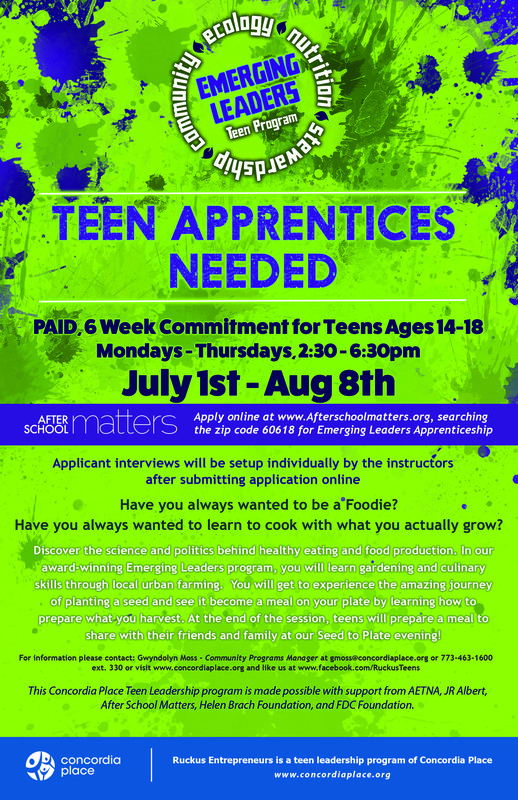 Become A Paid Teen Apprentice! Have you always wanted to be a Foodie? Discover the science and politics behind healthy eating and food production. In our award-winning Emerging Leaders program, you will learn gardening and culinary skills through local urban farming. You will get to experience the amazing journey of planting a seed and see it become a meal on your plate by learning how to prepare what you harvest. At the end of the session, teens will prepare a meal to share with their friends and family at our Seed to Plate evening! 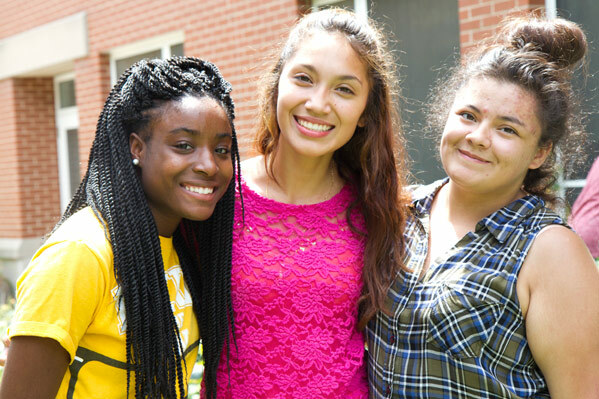 Visit afterschoolmatters.org and search the Emerging Leaders program in the zip code 60618. Interviews are set up individually for the open slots by the Instructor. 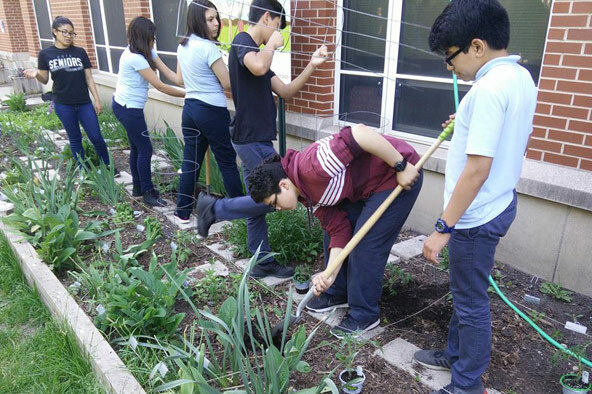 In our two teen developed and maintained gardens teens engage in preparing beds for planting and how to sustain a healthy garden. Composting and recycling are fundamental parts of our ecology curriculum. These actions instill in teens a sense of responsible citizenship and connect them to a variety of issues in their community and planet. We encourage teens to take control of their health through knowledge and action. Teens develop hands-on experience with meal planning and learn cooking skills. We also introduce new and healthy food choices to incorporate into their diet and food preparation. By sharing their knowledge our teens also educate families, youth and neighbors on health and nutrition. 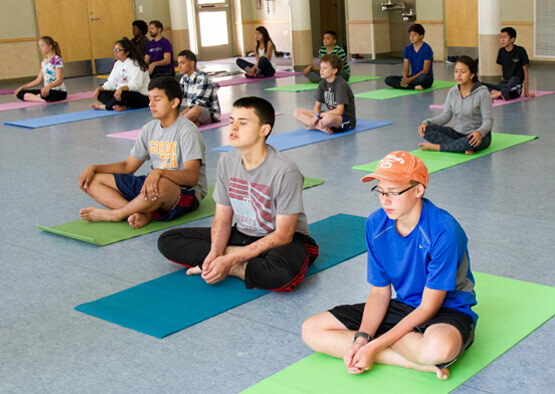 Our program gives teens the opportunity to learn a variety of positive mental and physical health modalities. Through sports activities and Peace circles, teens learn conflict resolution techniques and stress management skills. Teens learn to talk about relevant issues in small and large groups which are safe from judgement and help them to formulate their views and priorities.